Hey, Sneezy, this story's for you. Spring means many things to many people -- warmer weather, sneezing, flowers blooming, coughing, spending time outdoors, itchy eyes. If all you read in that last sentence were the allergy symptoms, it's time to take some action so you, too, can enjoy the arrival of spring and summer this year. By controlling your own environment -- your home -- you can feel more comfortable throughout spring -- otherwise known as allergy season. Local interior design expert Michelle Rohrer-Lauer of Grayslake-based Michelle's Interiors offers some tips for going beyond just clearing out surface dust during your spring cleaning. Studies have shown that indoor air can be as much as 10 times more polluted than outdoor air. (Gross, huh?) By filtering out dust and pollen from your home in the first place, you'll be eliminating the things that trigger symptoms in allergy sufferers. Rohrer-Lauer recommends buying an air cleaning machine, which uses cleanable or replaceable filters to remove dust, pollen and other allergens from the air. Carpeting is a huge culprit when it comes to allergy symptoms felt in the home. Contaminants like dust mites, pollens and pet dander can harvest in the carpet's fibers (did we mention gross? ), triggering allergic reactions. Bare floors are easier to keep clean and get rid of those icky little buggers. Speaking of which, bedding is another place for allergens to multiply. Unfortunately, mattresses and pillows trap dust mites and pet danders in their fibers. Allergy-proof covers for both mattresses and pillows will provide a barrier between you and those uninvited guests. And, finally, maintain the temperature and humidity levels in your home. 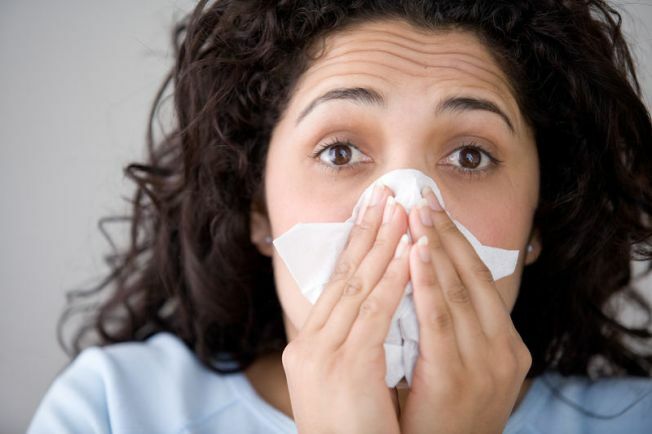 Warm, humid environments create perfect breeding grounds for allergens like dust mites and mold. The ideal conditions are between 68 and 77 degrees Fahrenheit and between 30 and 40 percent humidity.